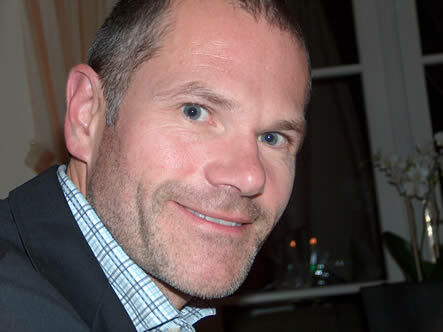 Peter Malberg (above) is someone who you only have to spend a short time with to warm to. He’s not one of those superficially charming people who say all the right things; rather, he’s quieter and a bit deeper (but still fun). I enjoyed spending some time with him, tasting his wines. Peter began working with the Graf Hardegg estate back in 1993, and his wines have put the Weinvertel on the map as a region capable of making quality wines: previously, the Weinvertel was just thought of as a source of base wines for fizz and mass market plonk. In short, it was considered rubbish. Part of the problem was viticulture: the average farmer here has a 15 hectare smallholding, and will grow just one or two hectares of vines. The Weinvertel is an hour’s drive north of Vienna, on the Czech border. It’s at the intersection of two climatic zones, continental and pannonian, so it’s neither hot nor cold. It’s quite changeable, so a good strategy is to grow a range of varieties, knowing that it’s unlikely that every variety will thrive every vintage. Hardegg has 43 hectares of vines split over five plots. When Malberg started here he recognized that no one really knew which were the best grapes for the region. Part of his mission has been to experiment and work out which ones do best. The experimental approach has led to the use of some varieties that aren’t really grown in Austria, such as Syrah and Viognier. The lack of a fine wine tradition in this region means that in a way, it’s Austria’s new world. We looked at a range of Hardegg wines, comparing the older with the younger in a series flights. Lovely focused sweet nose with rich melony fruit and a spicy edge. The palate is rich and full with lovely bracing acidity offsetting the sweetness. Nice concentration and richness. Austria’s first ‘Port’ – initially known as Porticus, but they got in trouble with this name and had to change it to Forticus. A blend of Merlot and Blauberger, fortified with neutral brandy after about a day’s fermentation. Bottled unfiltered after a couple of years in old casks. The palate is spicy and intense with pure fruit. It’s focused with a nice freshness. Impressive effort.